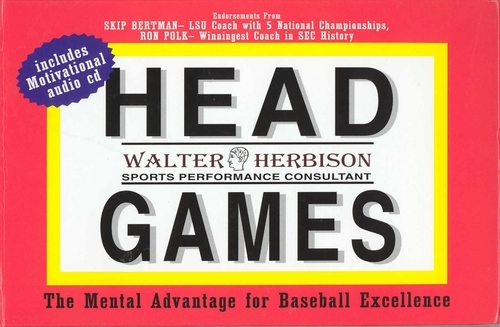 Walter Herbison - Hundreds of athletes from youth leagues through the Major Leagues have used Herbison's book with great success. Using the simple mental techniques outlined in this book, many have not only turned their game around, but also their lives. "invaluable tips...immediate improvement" said Charlie Smith, former Atlanta Braves outfielder and current Atlanta scout.